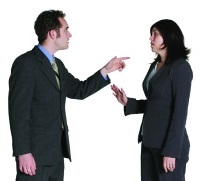 Harassment can infect and damage any work environment regardless of its form. What should HR do to prevent and combat this serious issue? In an effort to make Singapore workplaces safer, the Tripartite partners have put together an advisory outlining several key steps that HR can take to protect staff in case of future harassment. The guide calls on employers to “proactively identify, evaluate and control the risk of harassment” within the workplace. This can be achieved through a company’s existing workplace safety and health (WSH) risk management process. Clear communication is essential so the workplace harassment policy is provided to all levels of the organisation. As well as training for HR, line managers and supervisors about what to do to minimise the chances of harassment, the report suggests setting up support groups and counselling services to help deal with the consequences if any issues arise.